Charge and zeta potential characterization in high-salt buffers is possible! By coupling the Atlas to a Mobius, mobility measurements can be made on aqueous samples with hundreds of mM NaCl in the buffer. Gas bubbles form as a result of redox reactions in the course of electrophoretic mobility measurements, as the bubbles scatter light profusely, overwhelming the signals that are the focus of the measurements. Bubbles also cause erratic electrophoretic currents, adding yet more noise. Mobility measurements have been especially difficult to accomplish on aqueous samples having conductivities (and hence ionic strengths) near or above physiological saline conditions. The Atlas system minimizes bubbles by pressurizing the Mobius cell. The pressure generated by the Atlas not only forces evolved gases back into the solution, but also greatly reduces the volume of existing gas bubbles. Facilities requirements may be found on our Product Manuals page. 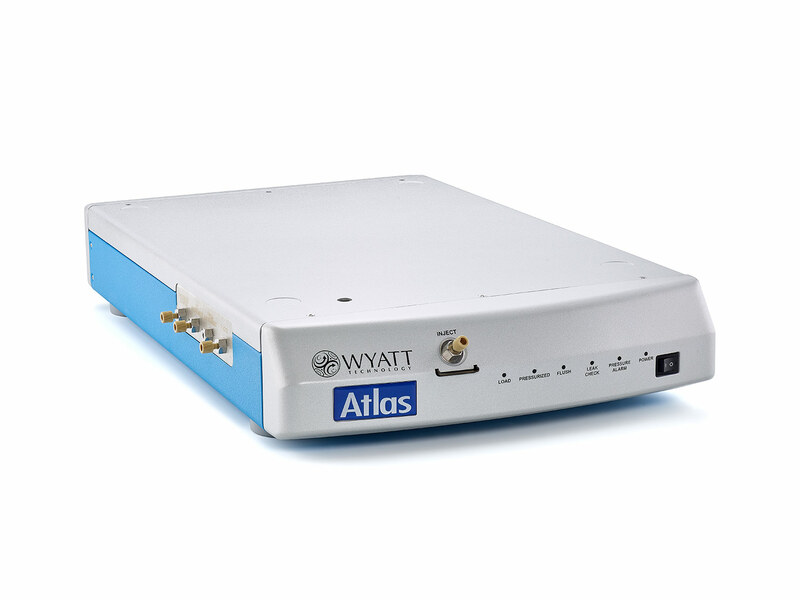 If you are a current US or Canadian Wyatt Technology customer, you can purchase the Atlas online. Visit the Wyatt Technology Store today!